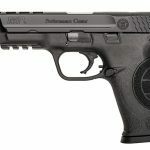 Smith & Wesson M&P9 PC Ported: The Smith & Wesson M&P9 Performance Center Ported pistol in 9mm is a gun that was literally designed to compete out of box for IPSC, USPSA and 3-Gun competition. 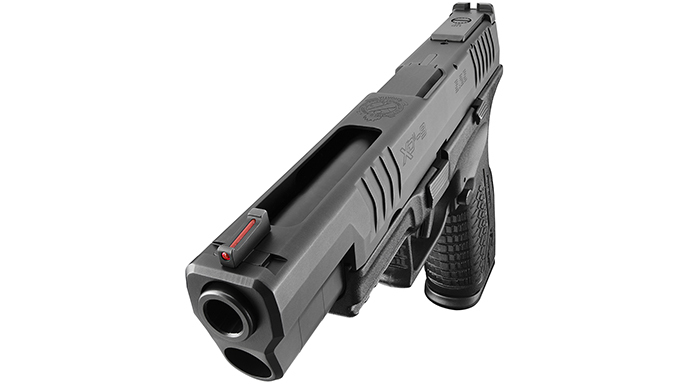 The ported barrel, however, excludes it from IDPA matches. 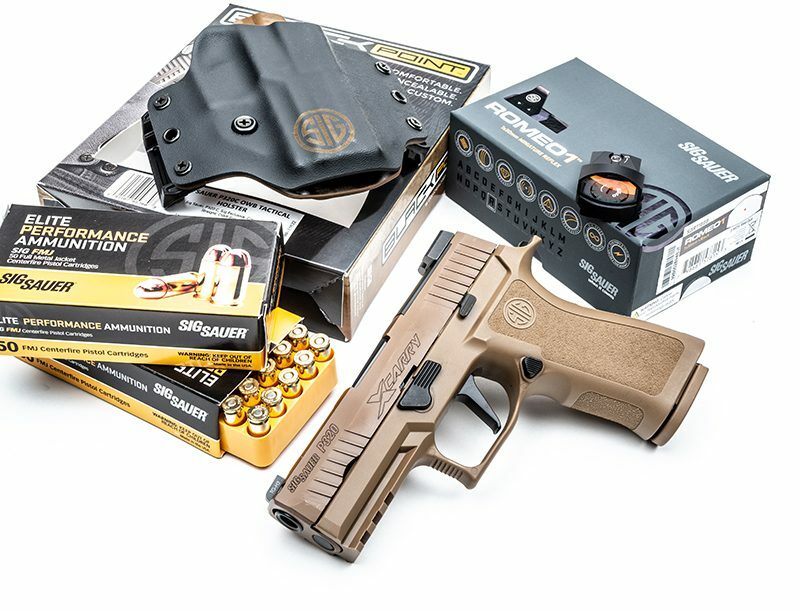 S&W builds this pistol on its reliable and proven M&P9 platform with competition enhancements that include a ported barrel and slide to reduce muzzle flip, an adjustable trigger stop and an enhanced trigger and sear for a faster reset. 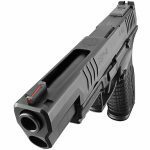 The trigger pull is a crisp 4.5 pounds, which is excellent for a competition pistol and exceptional for a striker-fired factory pistol. 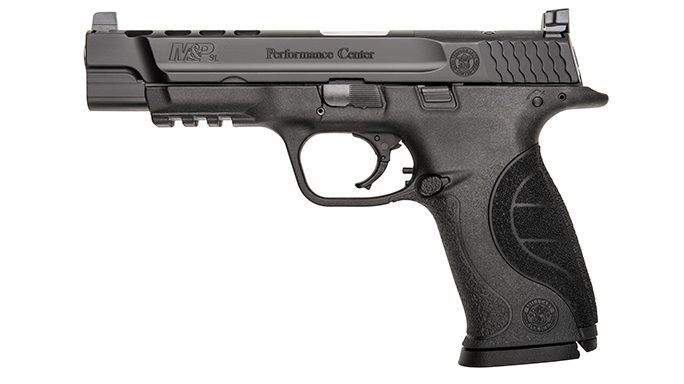 This M&P9 also incorporates its optic-mounting feature, C.O.R.E. (Competition Optics Ready), into the model. The top of the slide is machined to accept optics. Included with the pistol is an optics-mounting kit with four different mounting plates and screws for either a Trijicon RMR, a Leupold DeltaPoint, a Jpoint, a Docter, a C-More STS or an Insight MRDS reflex sight. 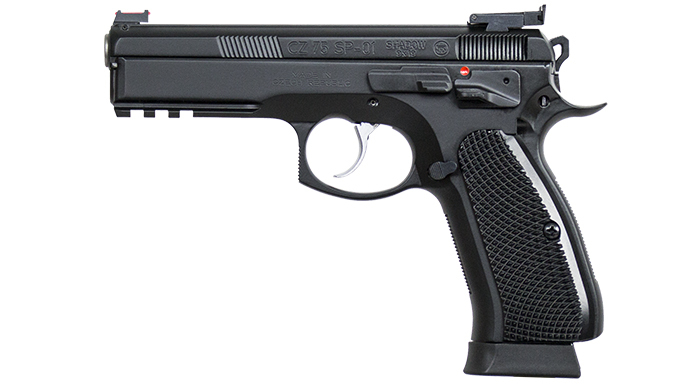 The extra-high three-dot open sights also co-witness with the optics. 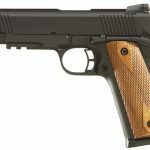 Armscor Pro Match Ultra HC: Master gunsmiths in Rock Island Armory’s Medallion shop deliver perfectly harmonized match-class 1911 pistols that are competition ready. 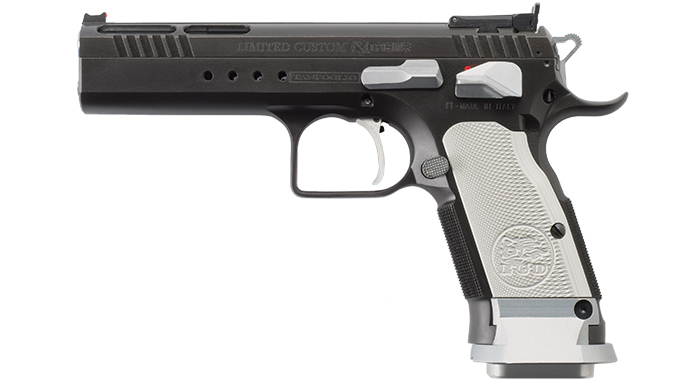 The Pro Match Ultra HC has all the features of a custom pistol without the price. This includes an extended beavertail grip safety, a fiber-optic front sight and an adjustable rear sight, a one-piece guide rod, checkered gripstraps, G10 grips, an adjustable trigger stop, a flared magazine well and a full-length dust cover to lessen muzzle flip from the fast-moving .40 S&W rounds. 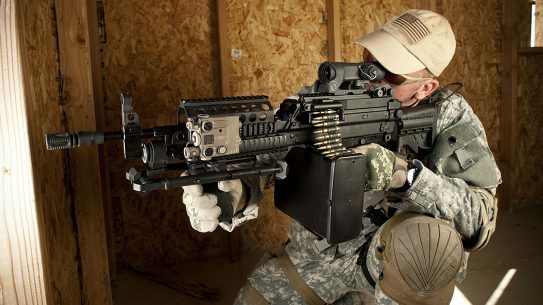 Plus, the wide-body frame holds a double-stack magazine for a 15+1 capacity. 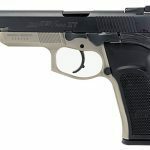 Bersa Thunder 9 Pro XT: The “Thunder 9 Pro XT” name places this pistol squarely in Bersa’s lineage: It has the familiar controls of the double-stack Thunder guns and is essentially a long-slide, extended version of the Pro—hence the “XT” in its name—featuring an extra half-inch of barrel and slide. 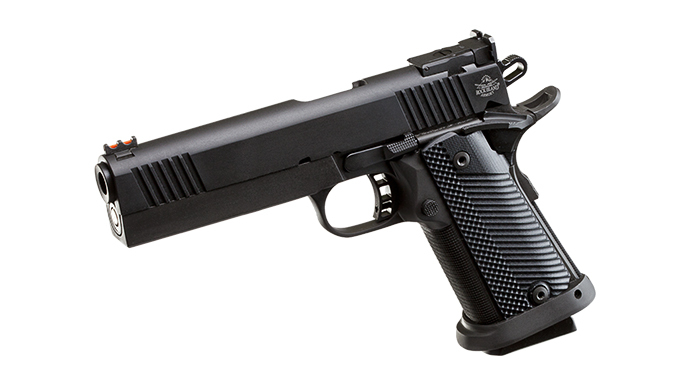 In fact, the pistol sports a 4.96-inch barrel to get the most velocity from 9mm ammo. Its competition-grade LPA rear sight is micro-adjustable for elevation and windage, and features horizontal texturing on the rear plane to eliminate glare. 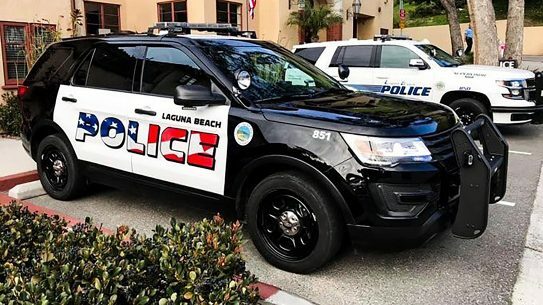 The front sight features a bright red fiber-optic rod with a steel housing to protect the rod from being slammed into barricades and scraped across synthetic holsters. 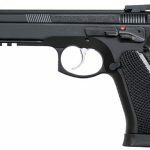 CZ 75 SP-01 Shadow Target II: The SP-01 Shadow Target II takes the reliable and proven CZ 75 Pre-B style pistol and tricks it out with a custom trigger job. 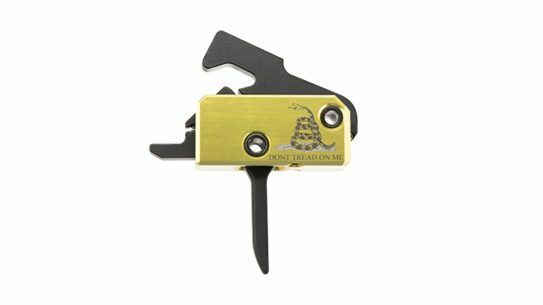 The company’s new short-reset trigger offers a 3- to 4-pound pull in SA and 7.5 to 8.5 pounds in DA. This platform is renowned for its accuracy thanks to its stainless steel guide rod and match-grade barrel. This pistol uses a full dust cover for added heft and reduced muzzle flip. 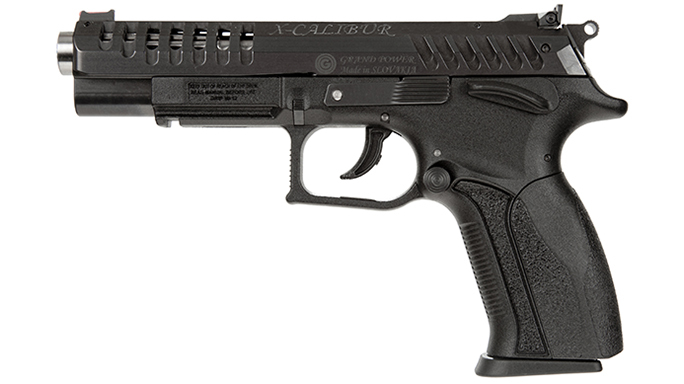 Grand Power X-Calibur: The X-Calibur model was purpose-built for speed and accuracy in action shooting by using a unique rotary locking barrel system. The barrel rotates during recoil rather than tilt upward like most other pistols. 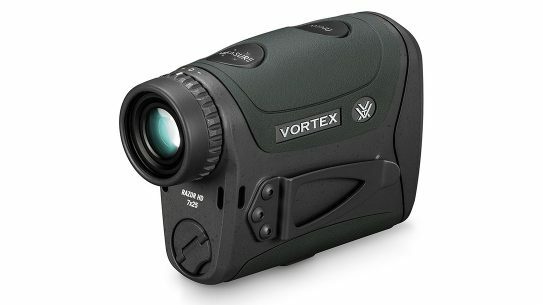 The rotary system has more of a straight-line recoil so a shooter can better manage it and get back on target faster. All of the pistol’s controls are oversized for fast and easy manipulation. 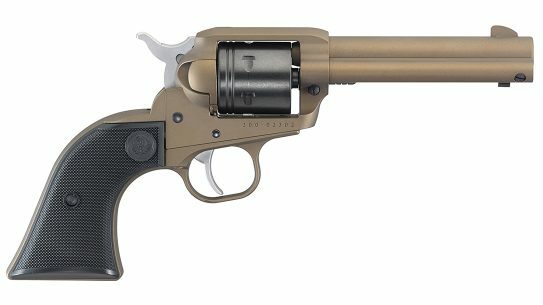 The gun has a fluted, match-grade bull barrel, a lightened slide with relief cuts and a crisp DA/SA trigger. 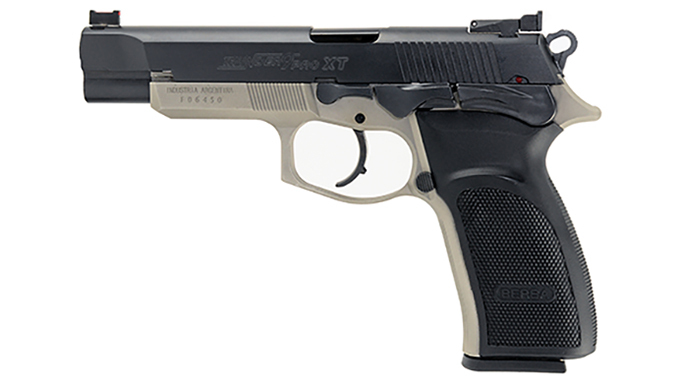 Tanfoglio Witness Limited Custom Xtreme: Witness Xtreme pistols are hand-tuned by master gunsmiths in Tanfoglio’s Custom Shop and feature a trigger job, a coned barrel with polygonal rifling for better accuracy and longer life, a lightened slide and a full-length dust cover for better pistol balance. These pistols are shipped with two recoil springs for different loads, a steel front sight and three magazines with aluminum basepads. Six-time IPSC world champion Eric Grauffel uses a Witness Limited Custom Xtreme pistol. 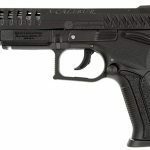 Springfield Armory XDM 5.25: The XDM 5.25 from Springfield Armory is bred for competition. 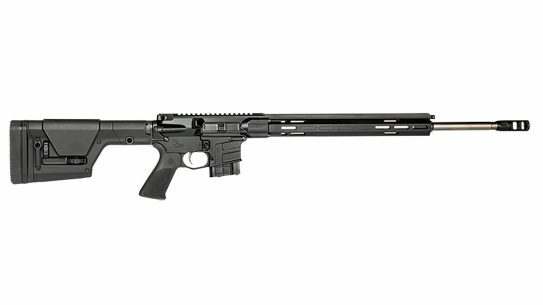 Not only do the longer barrel and sight radius and fiber-optic front sight endear it to better accuracy, but its striker-fired system offers a crisp trigger that nearly mimics a single-action trigger pull. 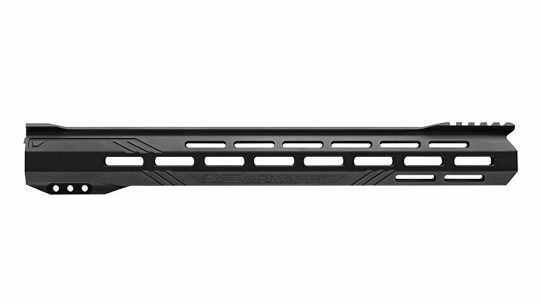 The accuracy of the XDM 5.25 is further enhanced with a one-piece, full-length guide rod. 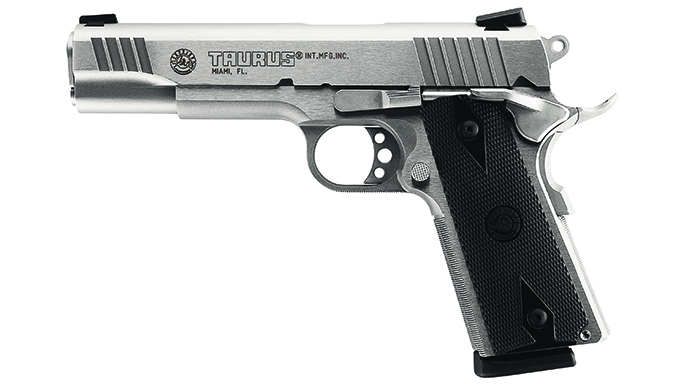 Taurus 1911: This 1911s use a hammer-forged, ordnance-grade steel frame, slide and barrel. 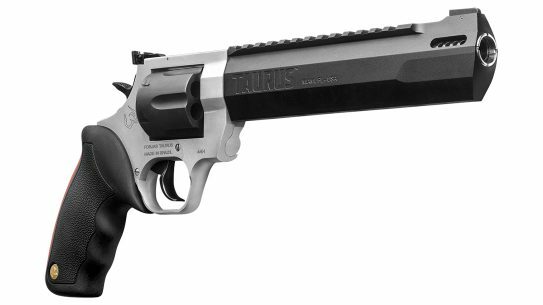 Taurus’ talented pistolsmiths hand-fit and assemble each one into an aggressive, rock-solid pistol that is ready to go right out of the box. It uses a solid metal spring guide and a hand-fitted bushing for enhanced accuracy. Jessie Duff is on the Taurus pro team and has won both world and national championship titles, including the Bianchi Cup and the Steel Challenge World Speed Shooting Championships, using a Taurus 1911 in 9mm. 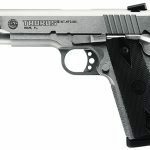 Taylor’s & Co. 1911 Black Rock: Need a pistol for 3-Gun Heavy Metal Limited? 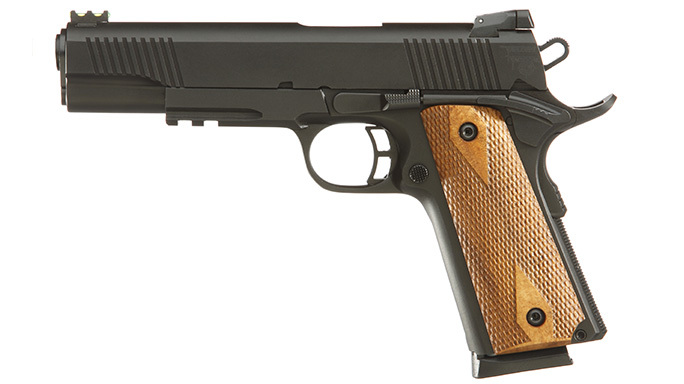 Then the 1911 Black Rock from Taylor’s is what you’re looking for. It features a combat hammer, a skeletonized trigger, an ambidextrous safety and an extended beavertail. 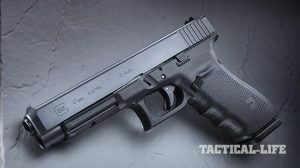 This is a workhorse of a pistol that will keep running and gunning when you need it most. This .45 ACP combines a tough black nitride finish (hence the “Black Rock” name) and checkered walnut grips with a fiber-optic front sight and a heavier frame with a rail. 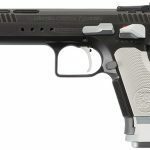 Competition pistol shooters want a reliable, accurate pistol that they can take out of the box, load and shoot at the buzzer. 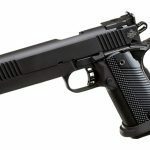 We want a pistol that performs without the high expense of a custom gun but with all the features we expect in a competition gun, like a smooth, lightweight, crisp trigger, high-visibility sights and/or the option to mount a reflex sight, a ported barrel, a flared magazine well, grips that actually fit our hand, a short trigger reset—the list goes on. 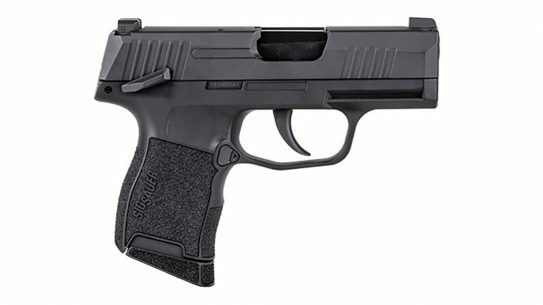 So what should you look for in an action-shooting pistol? Start with the pistol requirements in your chosen competition discipline and then decide on the caliber. Better yet, do both at the same time since they are both connected. In the case with IDPA and other disciplines, the pistol needs to fit in the box, literally. According to IDPA rules, the pistol (with the largest magazine inserted) must fit in the IDPA gun box measuring 8.75 by 6 by 0.625 inches for Stock Service Pistol (SSP), Enhanced Service Pistol (ESP) and Custom Defense Pistol (CDP) divisions. 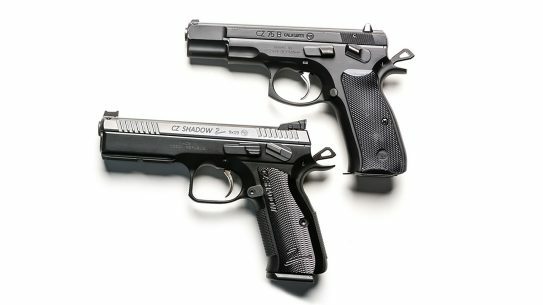 If you want to shoot Compact Carry Pistol (CCP) or Back Up Gun (BUG) divisions, the box shrinks to 8.75 by 6 by 1.375 inches and 7.25 by 5.5 by 1.375, respectively. For IPSC Standard division, the pistol must fit within a 225mm by 150mm by 45mm box. 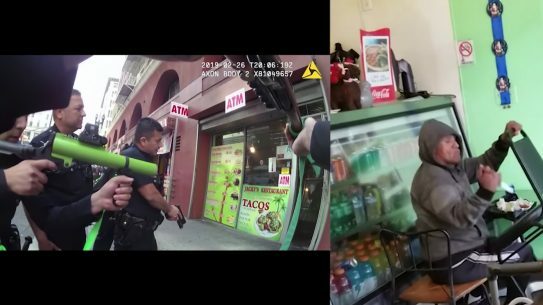 The rules for 3-Gun Limited and Tactical are nearly the same. Pistols must be chambered in any caliber larger than 9mm and cannot have any type of muzzle device or optical sight. These restrictions are easy to follow, offering a bunch of different options. 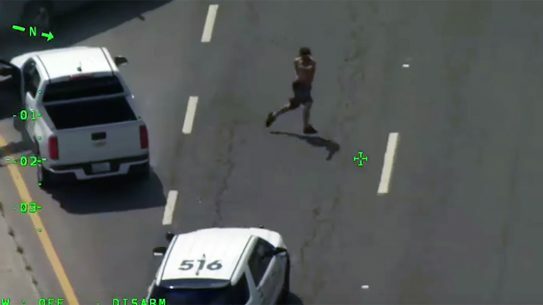 RELATED STORY: 10 Experts – Can Competitive Shooting Help Real-World Defensive Shooting? Scroll through the gallery above to learn about the Smith & Wesson M&P9 Performance Center Ported pistol, as well as eight other competition pistol models that are not so well known but have won matches in the hands of accomplished shooters. For more information about the competition pistol models seen in the gallery above, please visit the following sites.